In what is probably more a matter of semantics than anything else, Apple’s Phil Schiller has been given the new title of Senior Vice President of Worldwide Marketing. 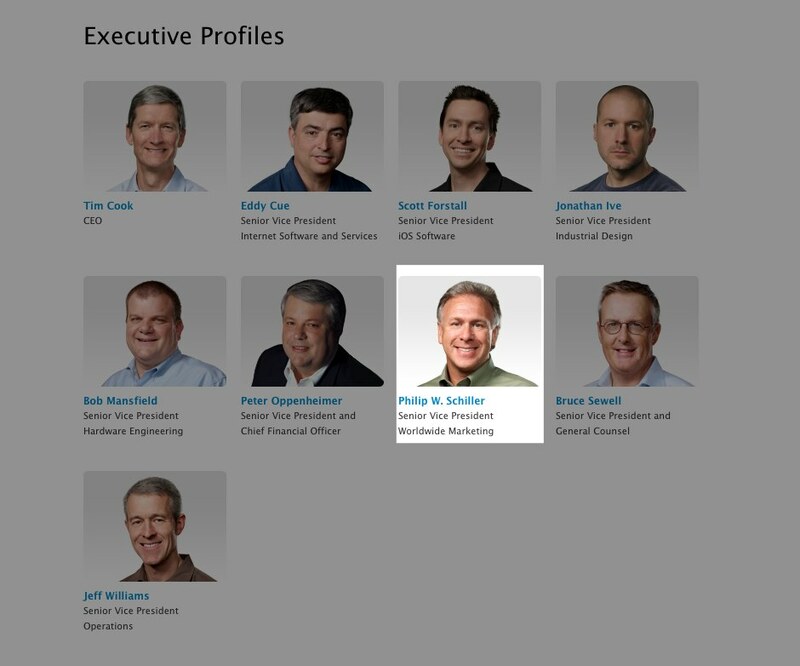 The change is reflected on Apple’s leadership page. Schiller’s title was previously SVP of Worldwide Product Marketing. The change could just be a cosmetic one, or it could represent some reorganization of responsibilities after the recent departure of head of retail Ron Johnson. Johnson recently left Apple to become the CEO of JC Penney, where he is busy recruiting ex-Apple talent for his team. Schiller could be taking responsibility for aspects of Apple Retail Store marketing that normally fell under the purview of Johnson. Or, it could just be a vanity change. In recent years, Schiller has taken on a role as one of the most measured and fluid presenters on Apple’s executive staff, taking the lead in announcing new products like Mac OS X Lion. While there is no explicit executive that Apple states as head of Apple’s OS X divisions, it is likely that this falls under Schiller’s oversight. We’ve reached out to Apple for more information about what the title change means for Mr. Schiller and will update this post if we receive a reply. Read next: Apple to wipe iTunes Match libraries again on November 12th, launch soon?